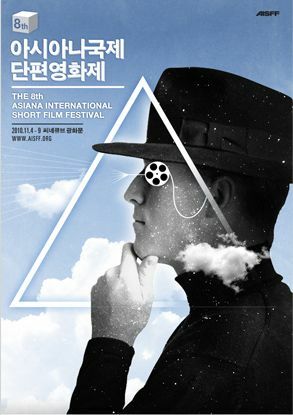 Browsing articles tagged with " Asiana International Film Festival"
For this year’s International Competition, a total of 2,262 ﬁlms (714 domestic films/1,548 international films) from 83 countries were submitted only to reach the largest number of film submission and countries in the history of AISFF. Consisting with 7 preliminary juries, the iuries selected films advancing to the ﬁnal with consideration in its content and structure, value as short ﬁlm,the consciousness and attitude of director and region and genre arrangements. A total of 52 films from 30 countries in AISFF lntemational Competition will be competing for the prizes and the final result will be announcing at the end of the festival. Taking a close look at the genre of the ﬁnalists, the fiction genre is dominant with 37 films, 8 animations, 4 experimental films, 2 documentaries and 1 music video, all of which are featured with new experimental attempts and the spirit and vision to expand the boundary of genre of short ﬁlms. Above all, as a film festival for cultural diversity and coexistence, this year’s International Competition sought to discover not only noteworthy films but also films standing where quota per country intersects with their quality. From films examining rising social issues like domestic violence, sexual crime and human rights abuse and a film touching our heartstrings with a thoughtful consideration and introspection on human beings, to a film featured with an original imagination and humor immersed in a short but strong image and a film with stirring impression and bitter smile, 52 finalists in the competition will deliver joy, anger, sorrow, happiness of short films with their own voice and color.